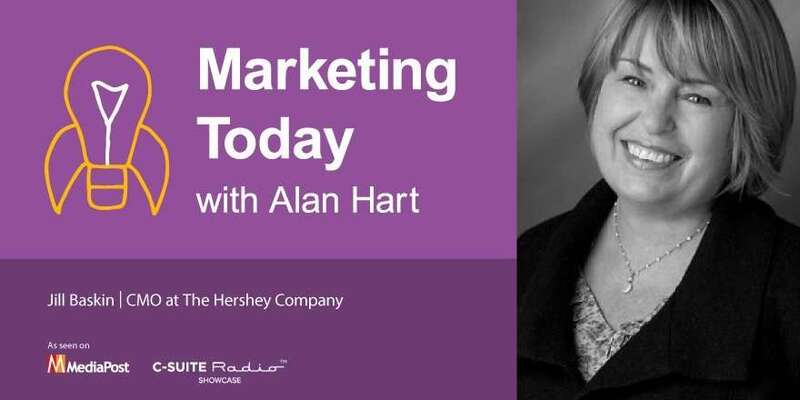 This week on “Marketing Today,” Alan talks with Jill Baskin, CMO at the Hershey Company, where she’s been for just over a year now. Previously, Baskin spent 20 years on the agency side before moving to the client side, joining Mondelēz International. There, she worked on brands like Oreo, Halls, Chips Ahoy! and Cadbury Chocolate. During the course of their discussion, Baskin talks about the reorganization at Hershey and her development of a small but nimble and effective in-house creative agency. And she also discusses the recent campaign work, “Heartwarming the World,” for the Hershey brand itself, what it’s like to work with nontraditional partners, and her views on the future of the agency model.